There’s nothing worse than tossing and turning all night, before being awoken by the sound of your alarm clock just minutes after you finally managed to nod off! These sleepless nights can take their toll on our energy, productivity, mood and overall quality of life. One way to ensure a better quality of sleep is to fill your home with beautiful flowers and plants. Not only do they look great and bring vitality and life to your living spaces, but they can have fantastic relaxing and purifying benefits—which in turn can promote a healthy sleeping pattern. With stress and anxiety causing half of all insomnia issues, it’s a good idea to fill your home and bedroom with a variety of plants that have a calming effect. After all, studies clearly show that spending time in nature reduces stress levels, so why not simply bring nature indoors? In addition, poor air quality from pollution, odors and molds can impact our breathing, thus making a good night’s sleep seem next to impossible. The good news is there are a variety of plants that can purify the air while you sleep—in fact NASA did a whole study on it! We’ve compiled this list of 12 great plants to help you sleep better, based on their calming and cleansing effects. This exotic plant has a gentle, soothing effect on the body and mind. It has been shown in a study to reduce anxiety levels, leading to a greater quality of sleep. Not only that, but this research suggests that the positive effects of such a high quality sleep will lead you to enjoy increased alertness and productivity during the day. With such beautiful pink or ivory blossoms, there seem to be no downsides to adding a Jasmine bloom to your boudoir! Who doesn’t love the scent of lavender? It’s also probably the most well-known of all plants when it comes to inducing sleep and reducing anxiety levels. 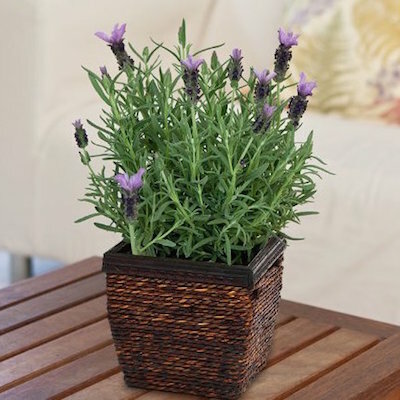 Research backs up these claims, with lavender scents shown to slow down heart rate, lower blood pressure and levels of stress. In one study, the smell of lavender reduced crying in babies, sending them into a deeper sleep; while simultaneously reducing stress in both mother and child—something all new mothers will be happy to hear! One of the most recommended plants for improving indoor air quality, the Snake Plant is a hardy and easy-to-care-for plant … always a plus! 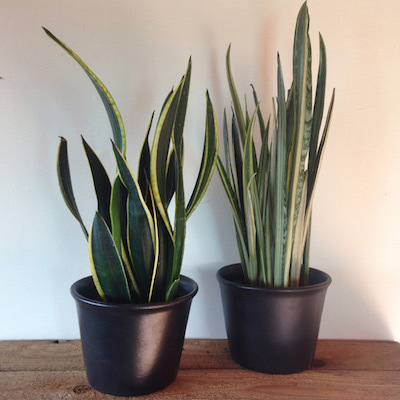 Want to try a snake plant or two in your room? You can buy a snake plant from this page on Amazon. 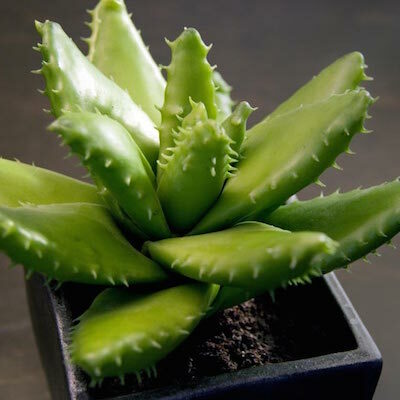 Listed as one of NASA’s top air-improving plants, the fantastic Aloe vera works much like the Snake Plant—it emits oxygen at night, making for a more restful slumber. It’s also one of the easiest plants to grow and maintain—it tolerates ‘neglect’ well and doesn’t require frequent watering. Dubbed the ‘plant of immortality’ by the Egyptians, it reproduces easily so if you buy one you’ll soon have an Aloe vera plant for all the rooms in your house. You can even pass on the gift of happy sleep to your family and friends! Keep it on your bedroom window as it does need a lot of direct sunlight. With glossy evergreen leaves and beautifully scented blossoms, Gardenias are a popular plant choice for bedrooms. Studies indicate that keeping one in your room may help you achieve a better quality of sleep, with claims that it may be as effective as Valium in relieving anxiety and promoting sleep. 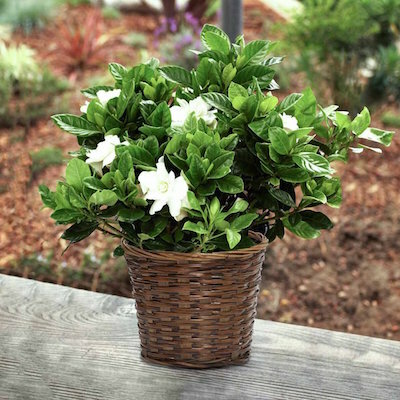 However, gardenias can be tricky to maintain as they require a lot of attention in order to keep their luscious leaves and delicate flowers. Indoor gardenias should be kept in a bright room, but not placed in direct sunlight. But if you suffer with insomnia or anxiety, investing a little time in one of these beautiful blooms could be a cheap and healthier solution to taking pills! Not to be confused with the Snake Plant, the Spider Plant is also a champion cleanser of air. The NASA tests showed it to remove around 90% of the potentially cancer-causing chemical formaldehyde from the air. 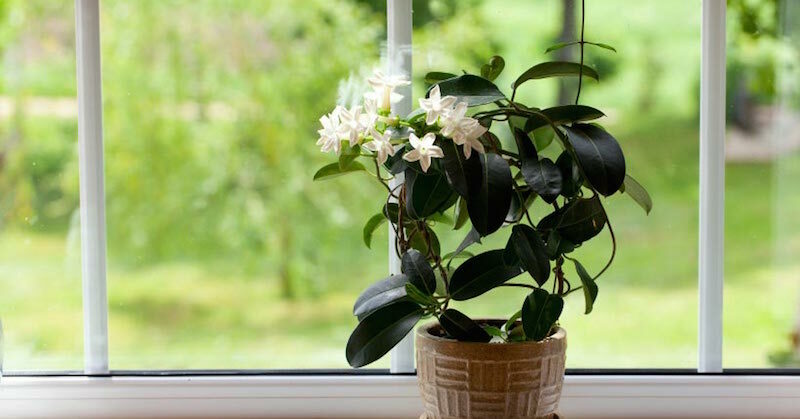 Since formaldehyde is found in common household products like adhesives, grout and fillers, it’s a good idea to keep one of these plants around. In addition to cleansing the air, it will also absorb odors and fumes as well as sustaining oxygen levels in the room, promoting better sleep. Want to try spider plant? 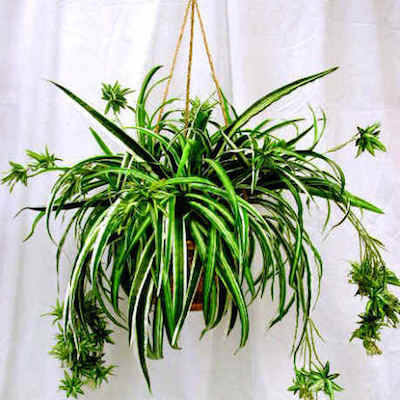 You can get spider plants from this page on Amazon. 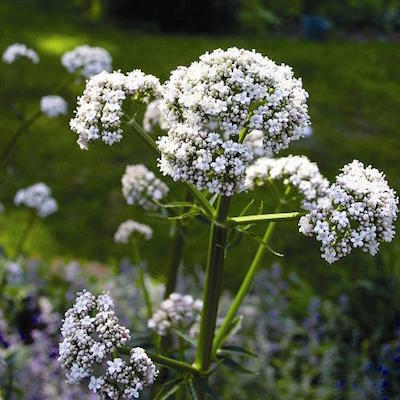 The Valerian is a perennial flowering plant with sweetly scented pink or white flowers that bloom in the summer. Newer research has shown that Galen was right in his prescription of Valerian Root—simply inhaling its scent will help you fall asleep quickly, and will ensure you enjoy a better quality of slumber. In addition to keeping one on your bedroom window (it needs full sun for 6 hours a day), why not add a few of the petals to your bathwater to help you drift off? 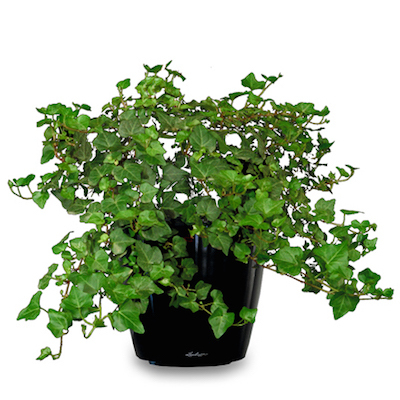 Another one of NASA’s top plants for purifying the air, English ivy is simple to grow and only needs moderate exposure to sunlight. Studies have shown that this leaf can improve symptoms of allergies or asthma—which all sufferers know can seriously impact both the quantity and quality of sleep. The American College of Allergy, Asthma & Immunology reported that, in a 2005 experiment, English ivy removed 94% of airborne feces and 78% of airborne mold in just 12 hours! As mold can affect our breathing, it’s definitely a plant to have on hand for a great night’s sleep. This evergreen vine looks great in an indoor hanging basket, or placed on a ledge where the leaves can trail down. It’s toxic to kids and pets though, so make sure to keep it out of reach! 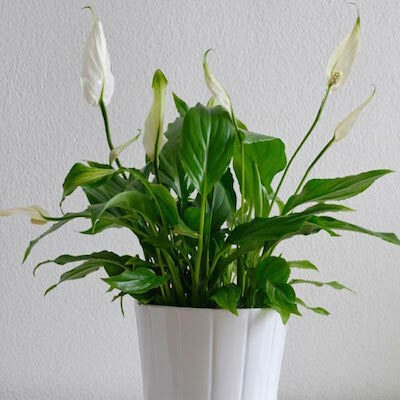 Not just pleasing to the eye, the Peace Lily is another of NASA’s superstar plants, helping to filter out harmful benzene, trichloroethylene, and formaldehyde toxins. The moisture given off by these striking flowers can boost a room’s humidity by up to 5%. This suppresses airborne microbes which can lead to allergies, and also helps relieve those irritating dry noses and throats that keep you awake all night. A nice shady position (out of the reach of pets and children) and weekly watering is all the Peace Lily needs—that’s not too much to ask in return for a great night’s sleep. Also known as a Reed Palm, this small plant is a fantastic air purifier. Ditch your chemical-laden air fresheners in favor of a few of these pretty palms and say goodbye to airborne smells and toxins. Not only will you be able to enjoy your home’s pure, fresh air during the day, but you’ll enjoy a fantastic night’s sleep too. 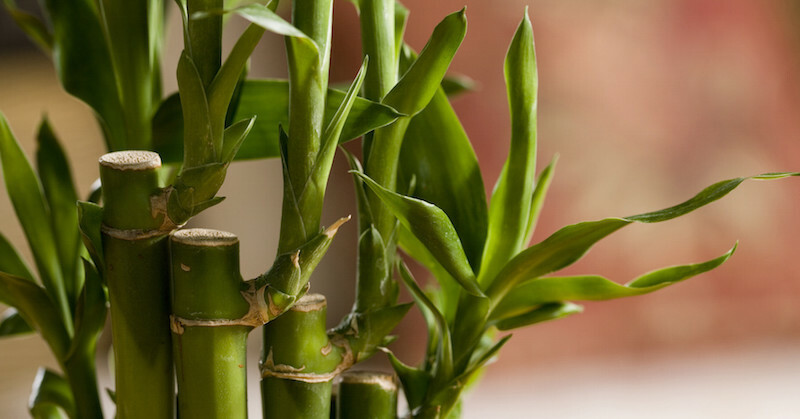 Given its exotic origins, the Bamboo Palm will bring a tropical, warm feel to your bedroom. It’s fairly easy to care for—just keep the soil moist (but not wet) and place the plant in indirect sunlight. These bright and cheerful flowers couldn’t help but put you in a good mood! With pink, orange, yellow and white, they should be a welcome addition to any room—and not just because they look good. They also release oxygen at night, which helps you breathe easy while you snooze. If you suffer from apnea or allergies, then these daisies are definitely recommended. A word of warning to the novice gardener—as they are prone to fungal diseases Gerber daisies need extra special attention, particularly in relation to watering and light levels. 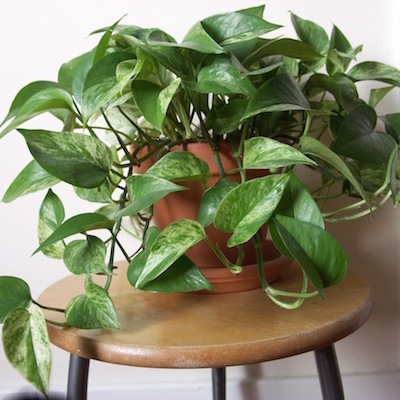 With its marbled, heart-shaped leaves, the Golden Pothos is another exceptional air purifying plant according to NASA. Those with a busy schedule will particularly welcome this ivy-like vine. Not only will you have a better quality of sleep but you need not worry too much about nurturing it—a couple of hours of morning sun and a little water once a week is all it requires. It makes a great hanging plant too—which curbs its invasive nature and keeps its mildly toxic leaves out of the reach of pets and children. Always check if they are toxic to children and animals to ensure they are suitable for your family. Remember to wipe the leaves every week or so to ensure the plants can effectively do their job – just look at it as the equivalent of changing the filter in your air purifier! Choose a good mix of those that purify the air and those that induce sleep through their scent for optimum results. 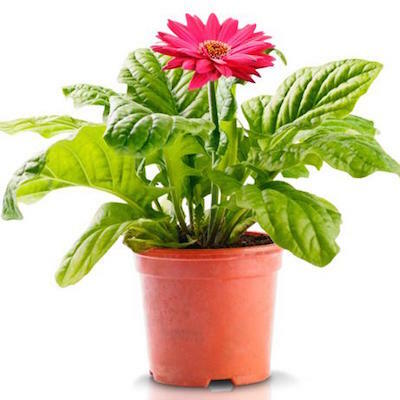 NASA recommends between 15 and 18 air-purifying plants in an 1800 square foot home, with a few of these in each bedroom. I like what I read about the plants…. can’t waite to get some!